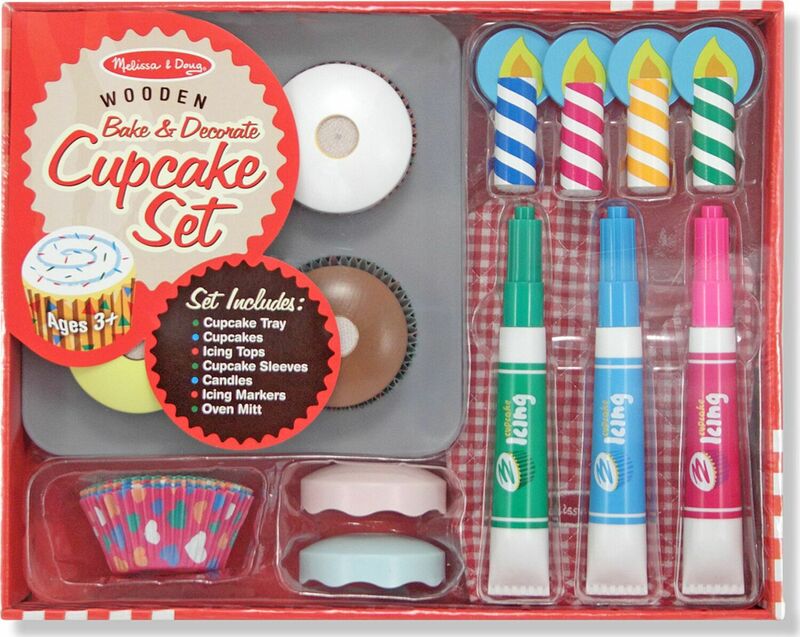 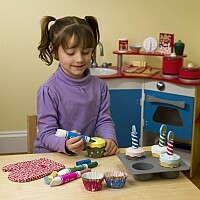 Be sure your little chef uses the oven mitt to move these glorious wooden cupcakes in their wooden baking sheet! 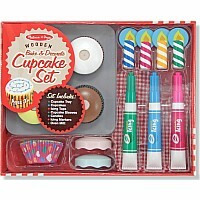 This amazing set has special wipe-off cupcake tops and 4 dry erase markers in the shape of icing tubes. 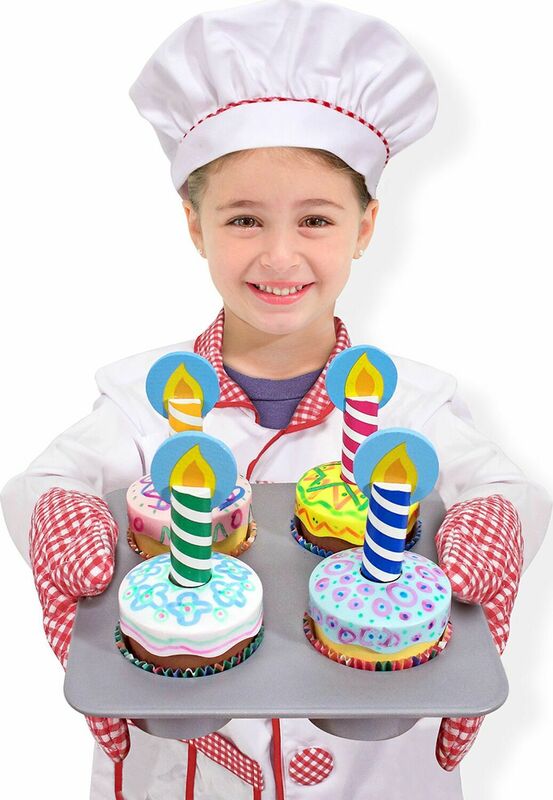 With durable cardboard baking cups, decorative wooden candles and “flames”, here are the low-calorie cupcakes for the best birthday or tea party ever! 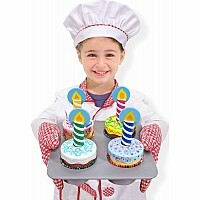 Measures approximately: 14.00 x 11.00 x 3.50 inches..